Welcome to the Website of the Mahoning and Shenango Valleys Chapter of MOAA! and subscribe to the MOAA Channel on YouTube. 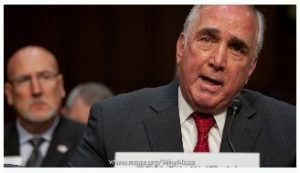 Do you have 3 minutes to discover and understand the impact and necessity of the Military Officers Association of America? Click Here to jump a video and become informed. Click Here to jump to MOAA’s monthly newsletter, “The Affilliate” in which MSVC is mentioned twice! Stay up to day on MOAA.org’s Legislative Action Center articles by Clicking Here. January, 2018 – Click Here to open document. The Ohio Department of Veterans Services has announced the members of the Ohio Veterans Hall of Fame Class of 2018. Mahoning and Shenango Valleys Chapter of MOAA member Robert P. Milich, Lt Col, U.S. Air Force, Retired, will be inducted into the Ohio Veterans Hall of Fame on Thursday, November 8, 2018 at 10:00 a.m. at the Radiant Life Church on 7100 Post Road in Dublin, Ohio. Click Here to read the full article. Mahoning-Shenango Valleys Chapter wins MOAA’s 2017 5-Star Level of Excellence Award. Every year, MOAA’s affiliates compete to receive a four- or five-star Levels of Excellence Award. The very best councils and chapters receive five-star awards, while above-average councils and chapters receive four-star awards. 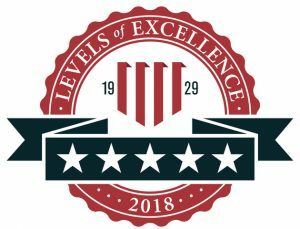 The Mahoning and Shenango Valleys Chapter received the 5-star Level of Excellence, the organization’s fourth LOE award in their five years of existence. Congratulations to the Chapter, the Board, and the members of the Mahoning and Shenango Valleys Chapter of the Military Officers Association of America. 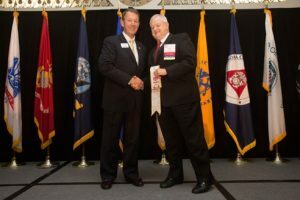 Pictured is MSVC President Gary Williams accepting the four-star streamer from MOAA Board of Directors Chair, General Tony Robertson, USAF, Ret. 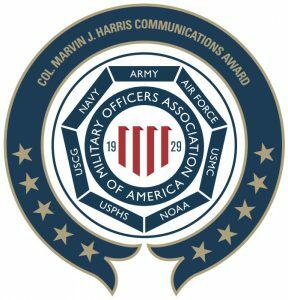 Congratulations to Janet Oglesby, who won the 5-star Col. Marvin J. Harris Communications Award in the category of Print Newsletter. This is Janet’s fifth such award. 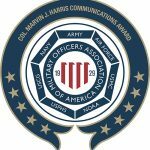 Congratulations to Bruce Bille, who won the 5-star Col. Marvin J. Harris Communications Award in the Website category. Bruce was presented with an Achievement Certificate from Lt. Col. Shane Ostrum from MOAA National. To register for upcoming events, please go to the Next Event page. The Mahoning Shenango Valleys Chapter (MSVC) is an affiliate of the Military Officers Association of America (MOAA). MOAA and its affiliated chapters and councils are non-partisan. Click Here for the contact information for your Federal and State legislative contacts. sponsorship and support of MOAA.